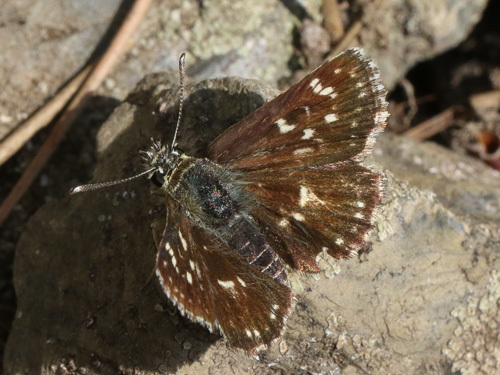 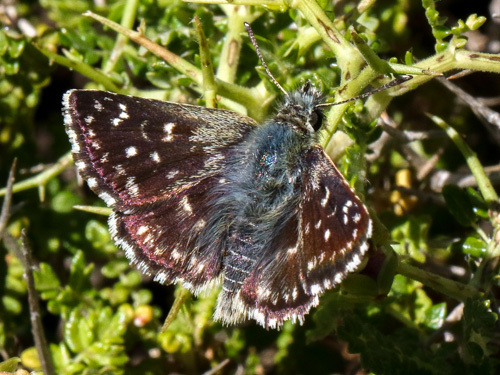 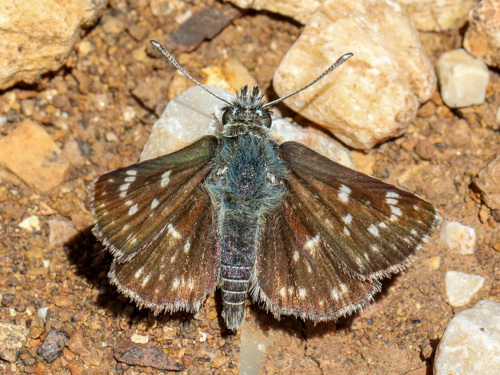 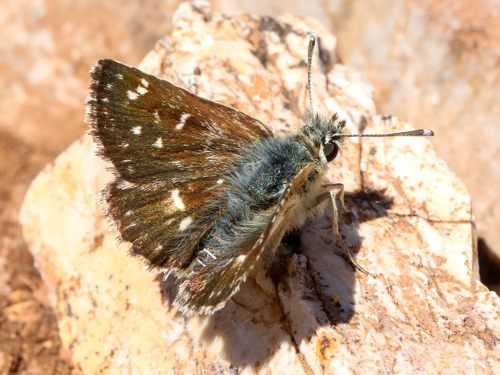 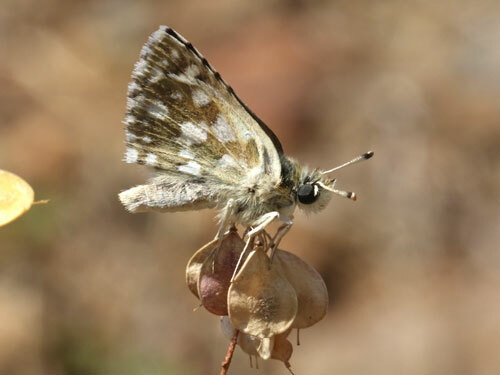 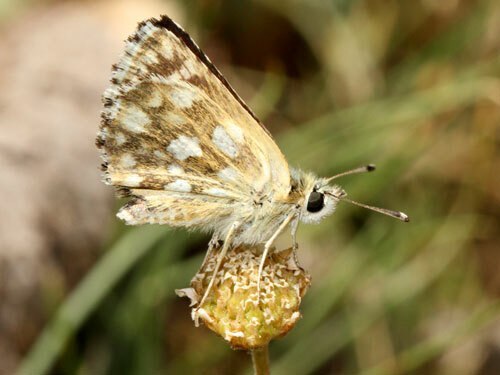 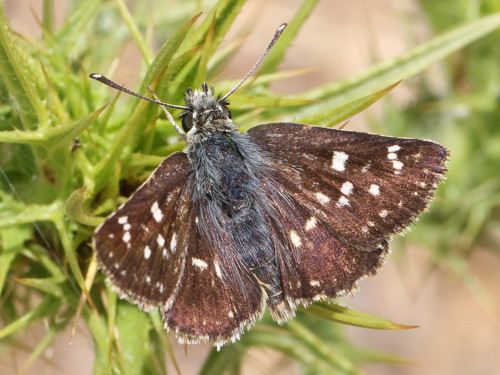 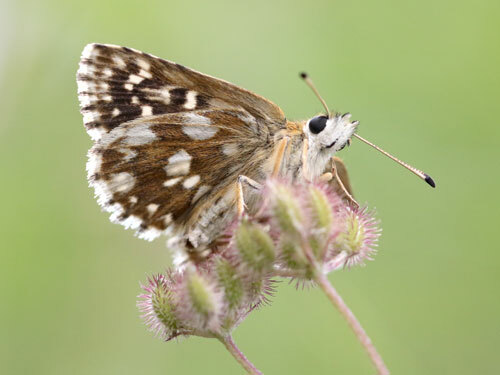 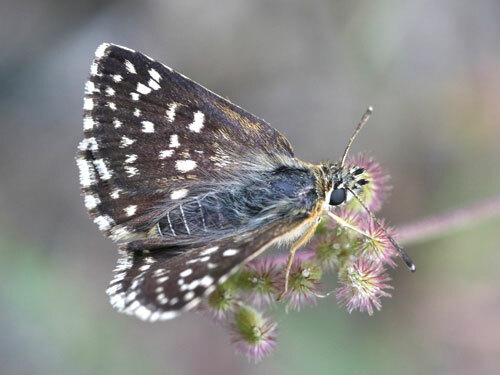 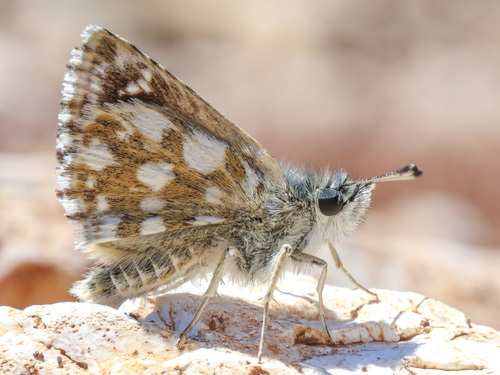 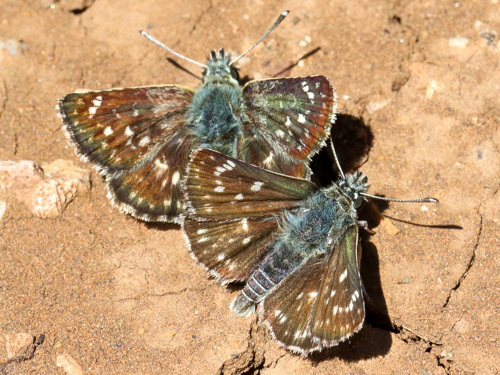 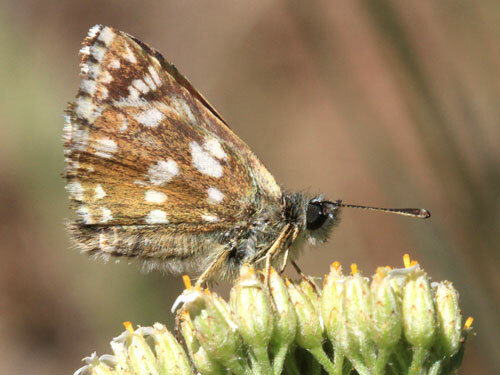 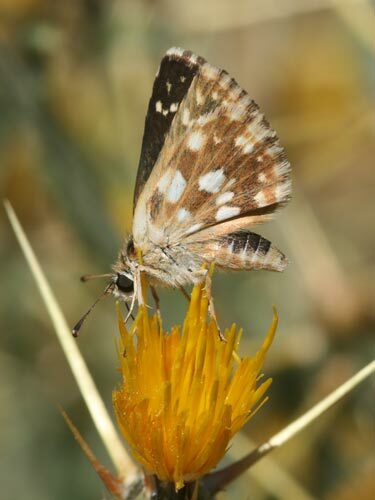 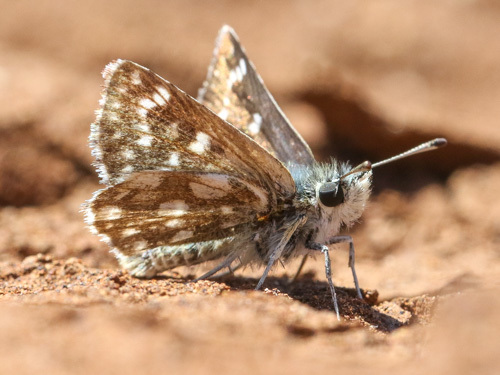 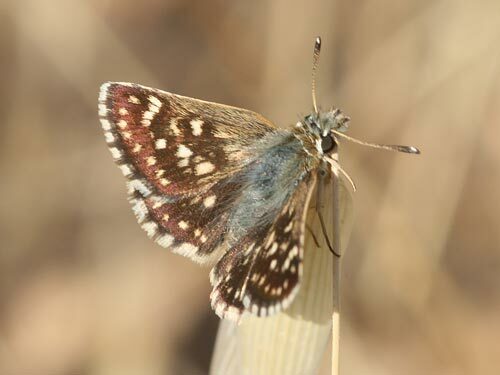 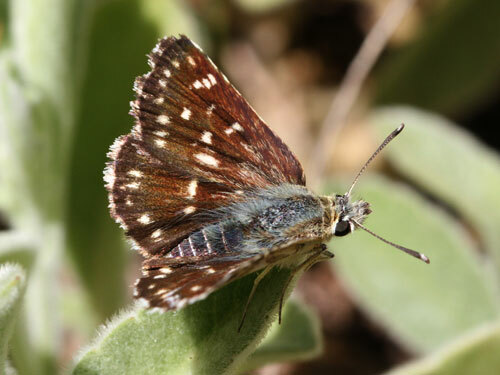 This species replaces the red underwing skipper S. sertorius in the east of its range. 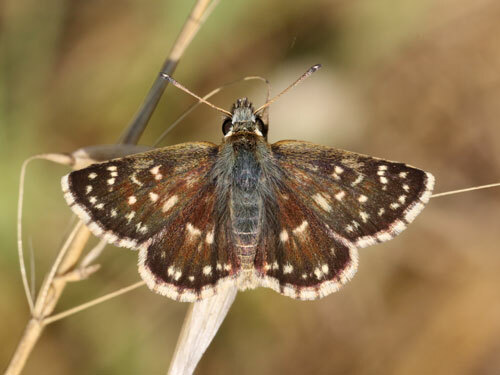 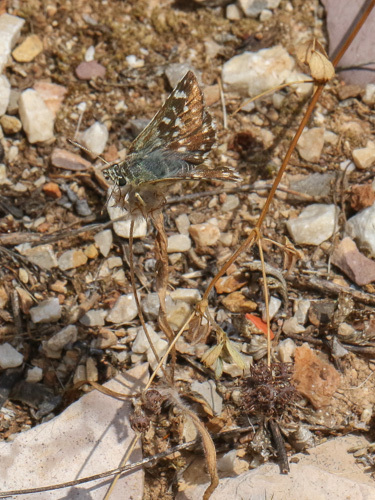 Identification & Similar species: It is rather greener on the underside hindwing and the spots are more rounded than the very similar to the red underwing skipper S. sertorius which replaces the current species in the east. 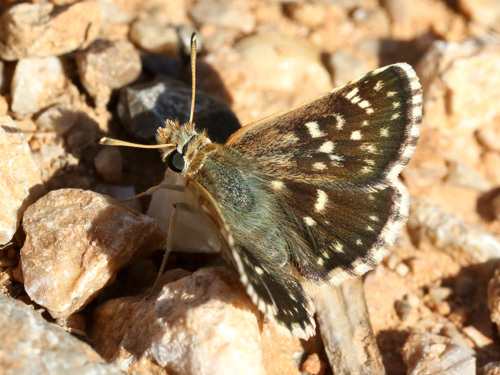 Distribution & Flight: From Slovenia to the Czech Republic and eastwards down to Greece. 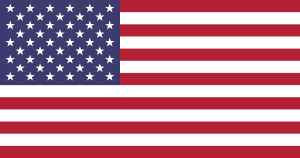 It also flies on Sicily. 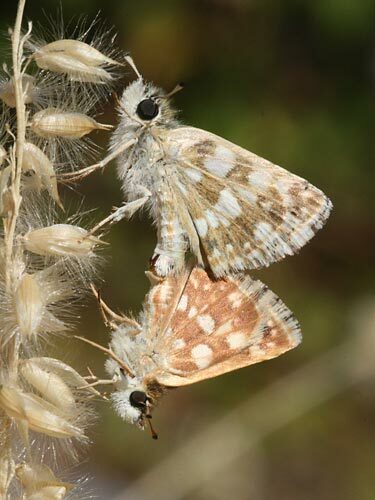 Double brooded from May to August. 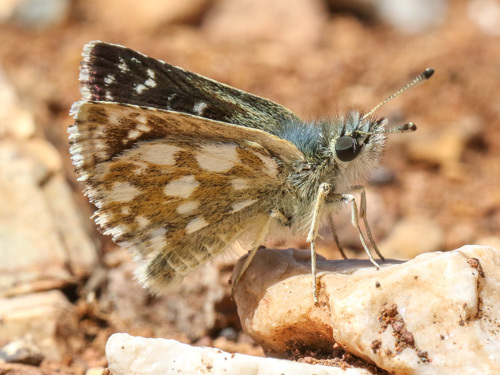 Habitat & Behaviour: It flies very fast and low in hot places and frequently rests on hot rocks and pebbles in full sunshine.